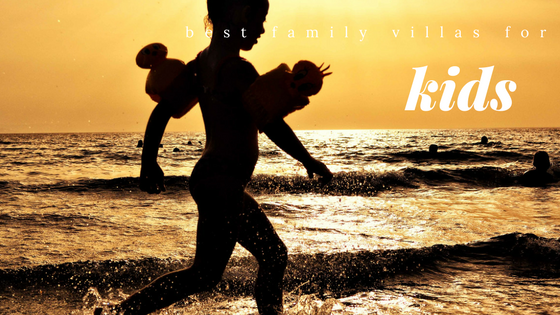 We are focusing on the kids and introducing them to a lifelong love of travel with our selection of villas complete with pools, entertainment and plenty of outdoor space to roam! Why is Menorca good for kids? The most obvious (and probably the cheapest and easiest) thing to do with your kids is to hit the beach; there are many beautiful white sandy beaches to choose from, and most are great for children! Most kids love a trip to the zoo, so if you can tear them away from the beach or pool, we recommend a visit to Menorca Zoo! If your kids love a waterpark then go to Aquarock Waterpark, there's plenty to keep the whole family entertained! The 185km 'Cami de Cavalls' follows the coastline around the island and there is no better (or more authentic) way than to see a section of it on horse-back; these tours are suitable for beginners and children as young as four years old. VN173 is an exceptionally spacious family villa both inside and out. With 5 good-sized bedrooms, one with two sets of bunk beds perfect for the kids, and a large pool and private garden the children (and adults) can relax in; this villa is a great choice for two or even three families looking to travel together with lots of space for everyone. A well appointed and very stylish villa with beautiful views of Fort Isabella, La Mola and the sea, this villa is ideal for small families looking to get away for some peace and quiet. The lovely chill-out area outside is also the perfect set-up for spending some quality time together as a family. This villa has masses of space for children to explore, it is the perfect choice for those who love to play outside. Tucked away behind a dry stone wall and standing in its own grounds, VN112 has lots to offer. The beautiful Mediterranean garden, a gated swimming pool and amazing views, all only a convenient two minute walk from the charactaful town of Alaior. This stylish and chic property is great for both parents and kids; the children can discover the village park and play numerous activities on the all weather court, and the whole family can relax by the well-shaded pool! This villa has stunning views over the Cala and the harbour beyond, offering a perfect package for tired parents. The house is very comfortable and practical and you can catch a water taxi (which the kids will definitely enjoy) across the harbour to Mahon for the vast selection of restaurants and shops it has to offer.